The Bowlby Centre, in collaboration with the Freud Museum London, are proud to present a unique exhibition on Attachment inspired by the life and work of John Bowlby, the founder of Attachment Theory. 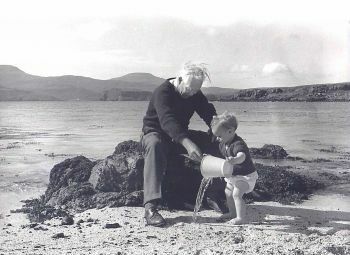 This intimate exhibition presents seldom-seen letters and photographs from the John Bowlby Archive at the Wellcome Library. The material has been thoughtfully curated to trace our understanding of the universal need for others across the lifespan and how this develops in a cultural and social context. Our attachment to others continues throughout our lives. Thus, we are born with the inherent capacity for making emotional bonds, becoming attached to those who care for us in our childhood. By having enough of our early attachment needs met, we are enabled to explore the world with confidence, trusting that we have a safe haven to return to when the going gets tough. We thereby learn what to expect in the way of behaviour from others, and likely consequences for how we feel, think and act. • Discover how, with attachment principles at their core, organisations such as schools and hospitals can support their staff to provide caregiving relationships in creative ways. • Explore how, despite loss and separation, our continuing capacity to learn, heal and grow is possible through long term loving relationships, including those offered by counsellors and psychotherapists. • Reflect on how our lifelong need for others continually shapes our emotional life and wellbeing.